Yeah, I got distracted and missed the opening shot, sorry. It's ok though, it was pretty minimalistic shall we say. Now I spent many years with Rocky Road being my favorite flavor (before I learned that there were so many other flavors in the world), so let's see how those fond memories translate to this current flavor. I take a quick bite and remember how much I love the combo of chocolate and marshmallow. I then set off with my mug full of ice cream and wind up not loving it as much as I thought I would. All the pieces are here for an easy win, but it seems like there is an extra piece too. Something is throwing this one off and while it's not huge, it is nagging me. To be more specific, I think one of the chocolate components has a little bit of something to it. I check the ingredients and wonder if maybe it's the chocolate liquor (not in any kind of alcohol sense, just in an unfamiliar flavor way). I press on and hope that eventually I will forget about it. The marshmallow enhances the chocolate flavor but does not take over completely. The almonds are fairly frequent. I'm not sure I notice the chips.... am I eating my afternoon snack too fast? My parting thought is that I wonder if this 1970s recipe might not click with my modern taste buds. Like the other 100 year flavors, does it have a little something different that is throwing me off? Thanks for the great review! I've been reading your reviews since the beginning and really appreciate the time you put in. I think I know why you didn't enjoy the taste of the chocolate. First of all, there is no alcohol in chocolate liquor. Chocolate liquor is simply what gives chocolate its flavor intensity. Chocolate liquor is also called unsweetened baking chocolate, so it's used to give a dark chocolate flavor. Dark chocolate seemed to be more popular in the 1970's, while milk chocolate reigned supreme in the '80s. 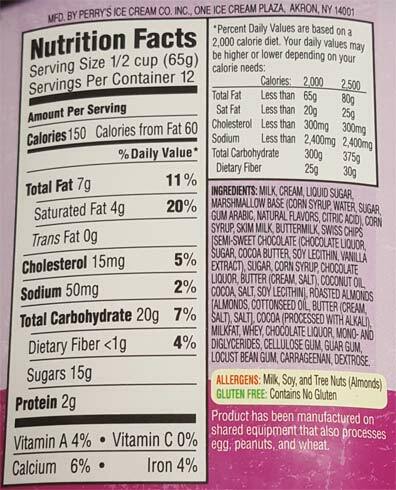 I can see from the label that chocolate liquor is a predominant ingredient in the base and they used dark chocolate chips, so the ice cream has more of that dark chocolate flavor. 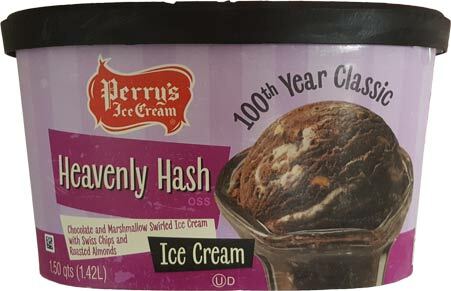 The heavenly hash and rocky road you had in the '80s probably had more of a milk chocolate flavor, which means less chocolate liquor and more milk and sugar. 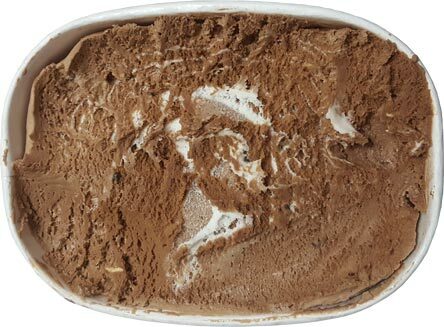 Since this is clearly a dark chocolate ice cream, it's no wonder that it doesn't fulfill your expectations or your memories. Hope that helps. Please keep up the great work! 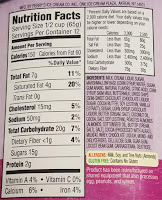 Yeah, Breyer's and Friendly's Rocky Road was definitely milk chocolate which I love when mixed with marshmallow. I did suspect the liquor but it didn't come across as dark/dark to me. It's not like I am a dark chocolate expert, but I do enjoy it in general (though I guess I prefer more generic hershey's dark chocolate to that of say those six dollar dark chocolate bars). Funny how times change. part 2: I added a note to clarify it's not any kind of alcohol weirdness, just a flavor weirdness.